For Your Student this Year? It depends. What grade is your student entering? What are his interests? 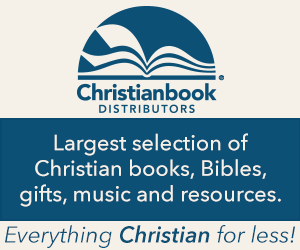 What will best fit into your homeschool? We’re going to do an overview of all the grade levels, with a focus on what is generally considered developmentally appropriate and critical in the early grades. In high school we’ll talk a bit about individual interests and the what colleges might hope to find in your student’s high school transcripts. Let’s have a look at several different curriculum offerings for each level. I’ll do my best to provide a variety of good curriculum for each level. I know that some people hope for free curriculum, others are looking for hands on programs, and some people would like instruction to occur on line. Please understand that I never list curriculum I consider to be mediocre or worse. (If I have nothing nice to say, I say nothing!) I’ll try to find something on each level to suit these varying tastes. All homeschools are different, each wonderful in their own way. There is no one size fits all art program for every family – only great options. Adorable Art Projects for Preschoolers are easy to find. Websites and books abound with cute ideas. These activities are really fun, and I think preschool should be fun. Many parents with very young children are very eager to start homeschooling. They scour the internet, looking for curriculum. That’s why I’m starting with preschool, rather than kindergarten. I know you’re looking, and I know you’re serious! however, you should probably know what your child should learn about art in preschool. 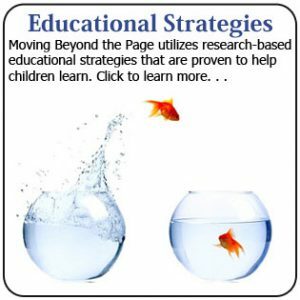 The best free, authoritative resource for this information is the Preschool Core Knowledge Sequence, which you can download HERE. There’s a lot more information there than you need and it’s intended for very serious academics and professionals, but it’s FREE! There are three pages that apply to the goals of a preschool art program. You may want to read them. You’re serious, and your kid still needs more sleep than you do. This is your change to get ahead of the game! as have quite a few very capable educators. 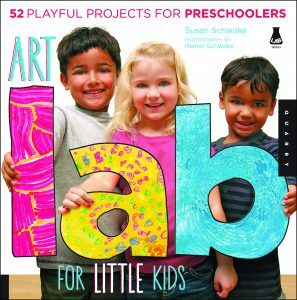 If you do most of the activities in Susan Schwake’s Art Lab for Little Kids, you’ll cover every art activity your preschooler needs to thrive. Basically, your preschooler needs experience with many different media and techniques. This well thought out collection of projects will cover all the appropriate activities. Susan Shwake is an expert, and she really cares. Susan Schwake teaches an online course called Art Together for parent-child teams. I encourage you to investigate this option and find out if it’s right for you. because there’s really no need to draw hard and fast lines between what constitutes a kindergarten art program and a preschool or early grade school art program. Of course a general awareness of what is expected and developmentally reasonable is a good thing. Kids develop at highly individual rates, and many homeschoolers are educating several children at once. Susan Schwake’s Art Lab for Little Kids is appropriate all the way through first grade, for instance. I encourage you to consider it for your kindergartner. to do the teaching, and maybe all the research as well? If so, this Home Art Studio on DVD-Rom is for you. Parents love it. Children love it. They say nothing but positive things about Lindsey Volin, the experienced art teacher who created the curriculum, and the projects within. Because Lindsey has put together eighteen projects that cover the entire scope and sequence for kindergarten. The research is done, the curriculum is inexpensive and the supplies won’t break the bank. Further, there’s a DVD-Rom with eighteen new projects for each year of elementary school. Yeah, that’s right! Mrs. Brown follows the Massachusetts’ public school guidelines for elementary students. She is an experienced art teacher who holds a master’s degree in her craft. She is completely transparent about the goals and techniques. Mrs. Brown’s plans are very, very easy to follow, and if you use her curriculum you will be getting a real bargain. She has a beautiful powerpoint presentation to help explain each lesson to the students. Again, Mrs. Brown’s curricula with follow you through the entire elementary grades. All you will have to buy are very reasonably priced materials. is a Christian elementary Art curriculum for kindergarten through sixth grade. It’s not easy to find all three books. Here they are. This curriculum gets five stars with everyone who’s every used it. It’s that good. 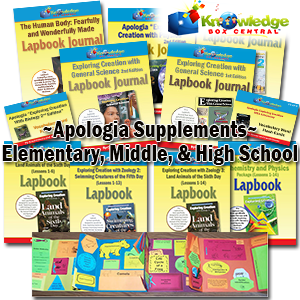 There are twelve lessons for each grade level, which incorporate scripture and art techniques. Connie Meyer is an experienced homeschool mother of five with a bachelor’s degree in art. Her curriculum is easy to use and requires very inexpensive supplies. There are three books, one for kindergarten and first grade, one for second and third grade, and one for fourth, fifth and sixth grade. 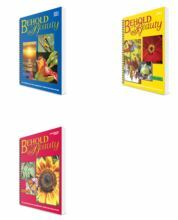 Behold the Beauty Art Curriculum books do show up from time to time at Amazon and Christian Book .com, but not reliably. Hence I have given you the more reliable link to purchase the full set. or Adolescents are Cool! I hope you’re not believing all that negative hype about how difficult adolescents are, because it just isn’t so. This is a golden time to be a home educator. Your kid is more capable than ever before, better at analytical thought, and capable of taking on more challenging subject matter. Even though the last curriculum set I mentioned in the elementary section, Behold the Beauty, goes up through sixth grade, everyone agrees that adolescents aren’t elementary students, nor are they high school students. They rate their own category! I am not a Time 4 Learning fan, but many parents love the convenience and low cost. Time 4 Learning has an art course designed for the late elementary and middle school grades. In my opinion it is sufficient for one year’s instruction only. As a stop-gap measure or convenience, it’s adequate. As a parent who homeschooled through life-threatening illnesses an serious family crises, I can vouch for the need to find solutions which can get a family through hard times. This Time 4 Learning Art program is inexpensive and convenient. It gives students a venue to showcase their work, which I think is a component often missing from homeschooling. Art students with Time 4 Learning can upload their work into an online gallery where their peers around the world can appreciate it. and Artistic Pursuits fosters and encourages your middle school student’s increasing ability to work with less parental supervision. (Yes, I used this program. Loved it!) Artistic Pursuits in Middle School is an excellent art program, because it’s addressed to your student, and covers are appreciation and history as well as technique and multiple media. Artistic Pursuits has two one-year courses for Middle school students. Together they give your adolescent a thorough grounding in art history, the elements of art and composition, and media and technique. My kids loved working independently on their art for two years, but they also loved the year each spent in our homeschool cooperative’s art class. Many high school students simply don’t have time to continue taking art every year of high school. For those who do make time, there are excellent options. Artistic Pursuits continues on for two years in high school. This is a comprehensive art program that really engages your teen. It’s intended for the student to work independently, and it covers Art History, Technique and many different media. It is a rare high school student who has time for a full four years of art. For such students there are many options. Before going on to discuss more in depth studies for talented teens, there’s one more curriculum that merits discussion. Atelier Art Homeschool Curriculum is a Cadillac program. It’s amazing. Levels seven and eight of the Atelier Curriculum will work well for a high school student. As a bonus, Atelier Curriculum is designed to work for a spectrum of ages at a time. It means that siblings within four years of age of each other can generally work from the same level of Atelier Art Curriculum at the same time. I’m going to let the video explain this curriculum. The young lady does a much better job than I can. If your high school student is still very excited about art after two years of instruction, perhaps you should consider enrolling him in an adult art class. This is a great way to introduce your student to the local community college. There are many other options, of course. Most homeschool cooperatives have art classes, often taught by very skilled artists. The beauty of art classes outside the home is that they usually include opportunities for your teen to showcase his work. I didn’t find any free art curriculum on the high school level. I did find some good resources. Khan Academy has a huge library of art history instruction videos and quizzes. Gutenberg books has many books on art history and art instruction. In general, the free art instruction I have found thus far has not been true curricula – just collections of ideas and classes on specific aspects of art. This doesn’t mean the material has no value, but I can not misrepresent these materials as actual high school art curricula. I really enjoy teaching homeschool art. This morning I had the privilege of teaching a child how to use a watercolor wash over crayon drawings. We both had a lot of fun. I think I may have had more fun than he did! Sadly, I have no talent and only rudimentary instruction in art. 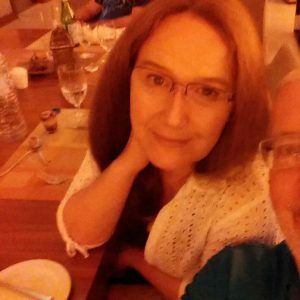 I have always relied on reputable homeschool curricula, art technique books, homeschool cooperatives and eventually community college art classes. That’s how I survived teaching children who were far more talented in art than I am! It is my hope that you have benefited from this post. Homeschool art classes are a part of the “fun stuff” we get to be part of when we homeschool. Enjoy this time with your kids. If a math and science nerd like me can get something out of teaching homeschool art, anyone can. If you find a great resource, please tell me about it. I’ll add it to this post, crediting you of course. If you have any questions, please drop me a line. I’d love to hear from you. Interesting post on Homeschool art curriculum. I believe nowadays, people can take their kids to online learnings. Not only it is free, you can gain knowledge much more effecient as well. The problem with traditional school is that you cannot repeat some curriculums if you don’t understand the lesson on the first try. SO with the internet, we can repeat the lesson as many time as we want till we fully understand the process. Don’t you agree? Yes, I am a big fan of online education. It works well once people become independent learners. Adolescents and some late elementary students have the capacity to become independent learners, and that capacity should be fostered. An independent learner is unstoppable. If she or he doesn’t understand, then they repeat the lesson, look for more information from various sources, and occasionally – usually after all other avenues have been exhausted – ask for help! Thanks for visiting, Edy. It was great hearing from you. I use to do art from a young age and developed my skills over the years. When I turned 16, thanx to the demanding environment associated with that awkward age, I had a hard time finding time for it. That’s why I completely understand when you say it becomes harder for high school students to find the time. My brother who is 5 years younger however stuck with it and developed a great love for art and design. Today, being a college graduate, he makes a living as a designer in the visual marketing industry. If children enjoy art they should try their best to stick with it. As I was always more of a left-brained student, I never really thought about teaching children the creative subjects such as art in home-schooling. It is clear however, that it is a skill that all children need to develop and I believe that with the information included on this website that anyone can take the steps to ensure their child does. Excellent content, very informative. Wow what a great article full of great information and resources. I was browsing as you d and the words “HOME SCHOOL” caught my attention. Although they have all grown up now we home schooled our children here in New Zealand, wish this resource had been around then. Thanks for sharing Elizabeth. My daughter has just turned three and will be going to kinder shortly. I won’t be homeschooling as such but my wife and I will be teaching her all sorts of thing s while she is at home. We have taught her so many things, such as numbers, animals and colors. She likes to doodle as well and we encourage it. We have got a few crayola packs at home that we can have fun together with. I will have to check out the Time 4 Learning site and see what they suggest, so thank you. Wow! This is great. Are there any Art Curricula for autistic or developmentally delayed kids? I need to be able to tailor my program to children with different abilities. Each student with special needs is unique. Look at the diagnostic criteria for any one of these conditions, and you will see so much diversity that it becomes obvious that there is no “one fits all” solution set for any diagnosis, much less all of them. This makes “special needs” kids refreshingly like all kids. Their needs are unique. 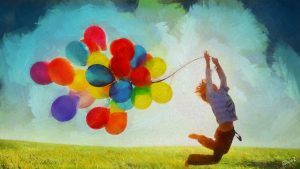 With autistic students it is important to stick to activities that don’t exacerbate the challenges a particular student may experience when confronted with particular sensations. 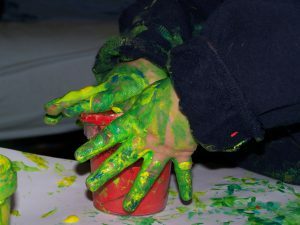 In other words, some autistic kids may love to finger paint, others may be miserable as soon as the gooey substance comes in contact with their hands. For such a child it may be necessary to allow him to wear disposable rubber gloves or use something other than his fingers to spread the paint. With developmentally delayed students it is helpful to pinpoint their stage of development. This can be hard, because their academic delay can be worse than their actual emotional and intellectual age – or vice versa. Anyway, once you’ve pinpointed their stage of development it is usually just a matter of matching their art curriculum to that grade level. That’s what I do, and I’ve always found it to be a good fit. Very nice and helpful article on home school art programs, art and music I feel should be introduced and available to young children as soon as possible. With the internet and home schooling children can receive much higher and more of a variety of education then the children attending public schools, even private schools can’t give your child as much as you can through home schooling. I agree that homeschool can be the better option, but so can public school or private school. It completely depends on the school, the community, the family and the child. It is my sincere hope that options will continue to improve for all children, all around the world. The information age is here. Hopefully a well-informed world community will make the very best choices for each child.